Great news: The BART strike is OVER! BART workers are back on the job, but trains won't be able to operate until 3PM on Friday as it takes about 18 hours to get everything back in operation. I'm happy, but I know that people may swear BART off and take alternative ways for the rest of their life. I also just forgot to mention, while watching KTVU, it mentioned BART management spent $400,000 on a labor negotiator. Where did they get this kind of cash to do this? The strike is not "over." Labor and management agreed to extend the just-expired contract for 30 more days. I am expecting another strike on or around August 4. This year, it seems like management and the unions can only make progress when there is a strike. Very few people will "swear BART off." Who is going to take a less convenient mode of transportation to make their point? Spend 90 minutes (twice a day) on two buses or pay 3x the price for a ferry vs. 40 minutes on BART? Do that for the rest of one's life to show BART what they think of them? 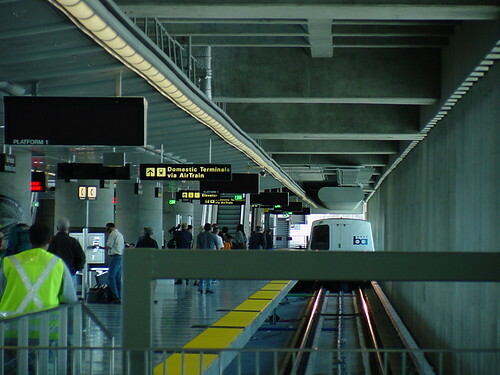 99.99% of the regular BART riders are returning to BART.